I started using 1 card a day in my job as a waiter... and saw my tips increase on average by 50-100% including one tip of over $700! You can quickly become THAT person that others immediately warm to, respect and want to go out of their way to help, support and give preferential treatment. In fact: Think of any person. Any situation. 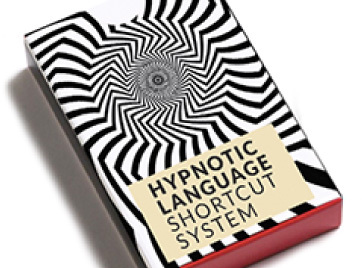 And you'll be able to influence an outcome favorable to you once you have the "Hypnotic Language Shortcut System". The first suit "Imagination" - uses the power of imagination to sneak messages into the unconscious. The second suit "Need & Desire" - activates unconscious motivations to get things done. The third suit "Awareness" - takes control of the one thing a hypnotist cannot live without: Attention! The fourth suit "Linkage" - allows you to piggy-back suggestions onto innocent ideas. The fifth suit "Pseudo-Logic" - speaks directly to the way the unconscious mind thinks! The sixth suit "Negation" - takes advantage of a sneaky flaw in the mind's armour. The seventh suit "Assumptions" - lets you slip in ideas without ever really mentioning them. The eighth suit, "Language Softeners" - allow you to sugar coat your suggestions to make the medicine go down. The ninth suit, "Action Accelerators" - hurries the unconscious into action before the mind can think of resisting. The tenth suit, "Anticipation Builders" - uses frustration to build response potential or make them want to resist you all the way into trance! Each card contains specific words woven into powerful phrases you can use immediately. And each card also comes with examples so you can quickly understand how to use them when you're speaking or writing. What's more, they're definitely a handy and fast way to master a new skill. They fit neatly in any pocket and don't require a computer or a large folder to use! Carry them around with you, whenever you've got a spare minute you can effortlessly inject this secret knowledge into your mind to summon whenever you want to get someone to do something YOU want! 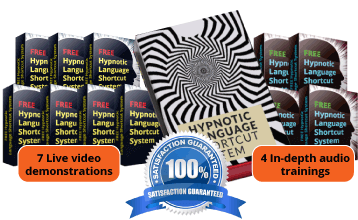 When you claim your free Hypnotic Language Shortcut System today, you'll also receive 3 hours of in-depth training to get maximum results whenever you want to use highly influential hypnotic language in your day-to-day conversations. Plus you'll also get 7 live video demonstrations of the cards in action including how to maximize your results with the cards. And a review of the key principles underlying hypnotic language, so that you'll understand how to hypnotize people with just your words and why it works. 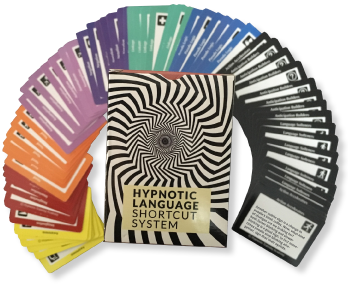 That's your Hypnotic Language Shortcut System Card Deck, plus over 3 hours of easy-to-follow instructions on how to get maximum results out of your Hypnotic Language Shortcut System. All yours for FREE today - you just pay the $8.95 shipping. Originally $97 per deck, now FREE during this special limited-time promotion!